Green Bay Prison To Be Replaced? Century-old Green Bay and the Oshkosh prison both horribly overcrowded. Part 5 of series. The committee already has approved “a request for proposal (RFP) for a ‘committee consultant’ to be responsible for conducting an analysis of all correctional institutions and centers and providing the Committee with recommendations to resolve facility needs statewide,” the Comet reported. 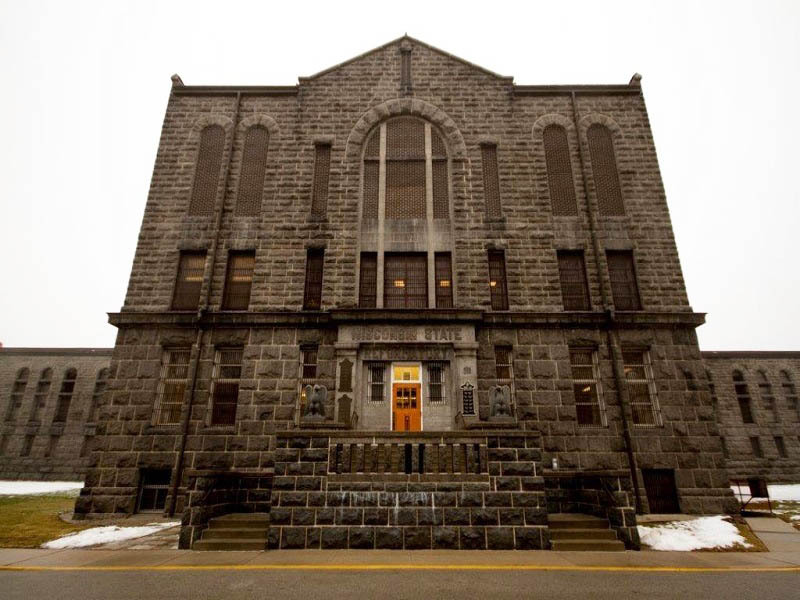 “A key part of the RFP is a requirement for a review of a proposal by Rep. David Steffen, R-Green Bay, to decommission the Green Bay Correctional Institution and build a new state prison in Northeast Wisconsin, possibly in Kewaunee County,” the Comet said. While state officials ponder whether to sell the 100-year-old facility, the Legislature and Gov. Scott Walker, as part of the 2017-19 budget, approved $18.5 million in new spending for cell hall improvements, raising to $22.2 million the total earmarked for the project. Rejected was a $10.8 million request from the Department of Corrections for construction of a new health/psychological services unit. This is part 5 in our series on Wisconsin prisons, how crowded they are, and what the Department of Corrections said is needed to improve, repair, and maintain them. Here is Part 1, Part 2, Part 3, and Part 4. As always, this primer does not really address the consequences of the crowding and physical shortcomings of the institutions – the impacts on inmates and staff. But we sure hope you will keep them in mind as you consider the price of mass incarceration. From the request: This project would provide new electrical/lighting, electronics, heating and ventilation systems in both the North and South Cells; and plumbing in the South Cell. The project work would replace the current electrical system with needed circuits and convert to GFCI (ground fault circuit interrupter), and upgrade lighting to energy efficient and security rated light fixtures, as the existing electrical systems were designed to 1950s standards and do not meet current building standards. Most of the electrical troughs that run throughout the cell halls, are heavily rusted. These troughs serve as the electrical system ground and if rusted through, wires will become exposed. The project would replace outlets, electrical panels and troughs to accommodate the 592 cells. The tier lighting, attic lighting and all common area lighting will need to be replaced/upgraded in both cell halls. This project would enhance the security of the cell halls by adding an electronic intercom system. This system would significantly improve communication and safety of inmates by providing a way to contact staff during medical or other emergencies. This project would also install cabling/wiring for TV, door, alarms and controls. South Cell Hall plumbing will be replaced with this project. This will include the replacement of the existing approximate four gallon per flush porcelain toilets and sinks with more efficient stainless steel single unit lavatories. The supply lines and sewage pipes are very old and develop leaks on a continual basis so this project will include replacement of the drains, waste and vent piping and potable water lines. It will also provide penal style water control systems to reduce/eliminate exposure to raw sewage, and reduce daily maintenance. From the request: This project would construct a new Health Services Unit (HSU) / Psychological Services Unit, designed to meet the medical, dental, psychological, and therapeutic needs of our diverse inmate population. Health Services Unit to include: one waiting area, examination rooms, offices for health services professionals, offices for clinical services professionals, a programming group room, medical and clinical records storage, climate controlled secured medication and supply room, dental operatory, a multi-purpose therapy room, a telemedicine system, a radiology room, lab spaces, officer stations and other related spaces. The HSU does not have a waiting area or a central location for storage of inmate medical records; medication storage is not adequate. The HSU presents security and space concerns. The layout of current HSU doesn’t meet the guideline of a maximum security HSU Building. GBCI is faced with an aging inmate population with increased medical needs. The inmate population at GBCI has a high proportion of psychotropic medications needs inmates. There are a significant number of inmates that require the use of wheelchairs or other assistive devise for mobility. Continued use of the current Health Service Unit will be unable to meet the health care needs of 1,091 inmates given the aging and types of infirmities of the population. … Insufficient space and inefficient layout of the HSU contribute to a wide variety of concerns relating to safety, effectiveness and efficiency of staff, security of the institution and inmate health care. For example, the dental hygienist must work in a separate room from the dental staff due to existing layout constraints. This means an additional correctional officer must also staff that area. Wississippi does not need another prison! The state desperately needs criminal justice reform! Wississippi can’t afford its prison industry already. Stop arresting and locking up nonviolent people for weed! Dump Walker and all republicans 2018!